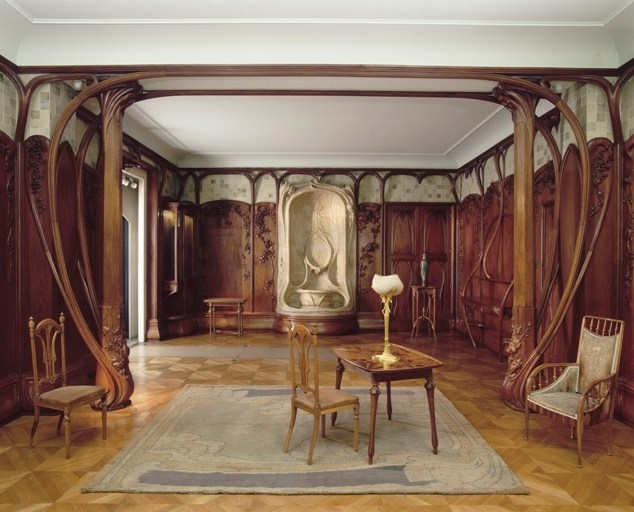 Art Nouveau, also known as Jugendstil, is an international movement that was most popular between 1890 and 1910 that initiate a new form of style, architecture and, especially, decorative arts. Even though English uses the French term “Art Nouveau”, that means “new art”, the style has other names too, depending on the country. Jugendstil is consider a “total’ style for the art that is in balance with the nature having curved lines combined with flowers and plants. 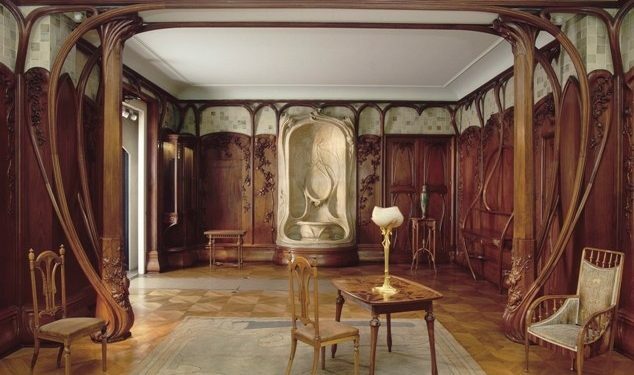 Many rich Europeans tried to live in a house with an Art Nouveau design, including the fabrics, the cases for cigarettes or even their furniture. The main point was to combine commune objects for the basic routine, with the sophistication of fine arts. First of all, the colors should be soft, elegant, often selected from a palette assortment of brown, yellow, beige or olive green which can be combined with lilac shades, violet or purple but also, don’t be afraid to paint your walls in the elegant, brilliant white or fluctuations of it. If we are talking about the walls you have to remember that you can always select a magnificent wallpaper with subtle curves that will just add authenticity to your room appearance. Secondly, your floors should always be wood parquet just to give them the original look. You can always add modern features by painting it white shades. Thirdly, you should find some decorations that aren’t simple but they aren’t take either. The perfect decorations must be curvy and to have warm colors with prints inspired by nature and you can use semi-precious stones as a chic finish. Some popular furniture choices are: stained glass panels, big wood wardrobe with big elegant door (sometimes with mirror doors) and why not a chandelier? 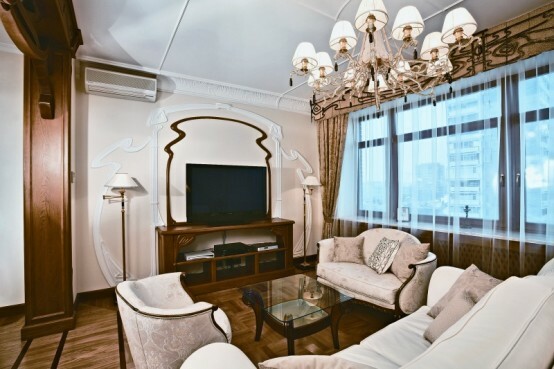 And about the lights… your Art Nouveau home is not complete without an umbrella-shaped Tiffany lamp. You can always buy some tall chairs to imitate spaces where women could gossip without worry while having a cup of fabulous tea and for some more comfort you can add some cushions with a floral print on them. 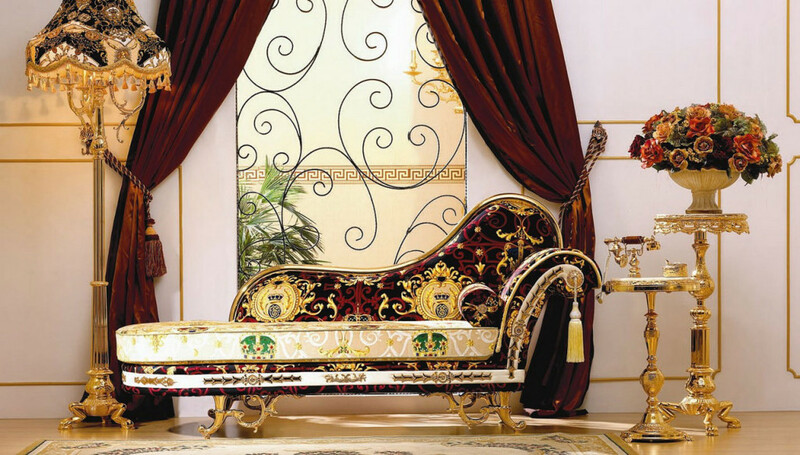 You can finalize your home by adding some silver or glass accessories. The last tip I can give you is to be careful. It’s very easy to get carried away in this style and at some point it can be just too much. This will ruin all your previous work because your home won’t be classy, relaxing or elegant it will just make your eyes feel tired because it’s filled with objects that makes it crowded. So, in conclusion, keep it simple and you won’t fail; your home will be a reminder of the original movement and every girlfriend of yours will be jealous of you. All you have to do is to follow these easy steps. 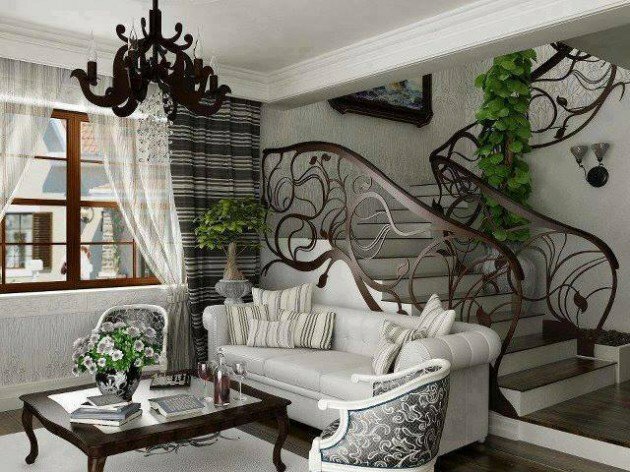 French Interior Design Style – Dress up your home the chic French Way!